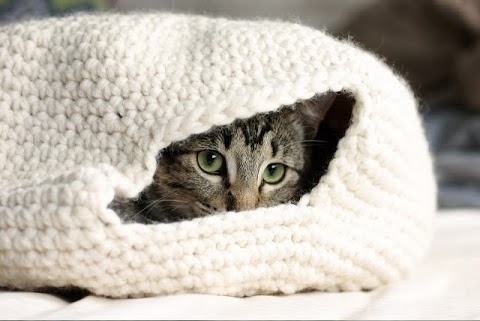 A happy cat is one that has a safe, warm place to hide and dream the day away. 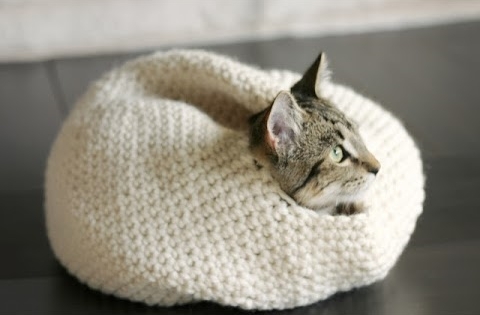 The average cat enjoys between 12–16 hours of sleep a day so an ideal place to snooze is vital. 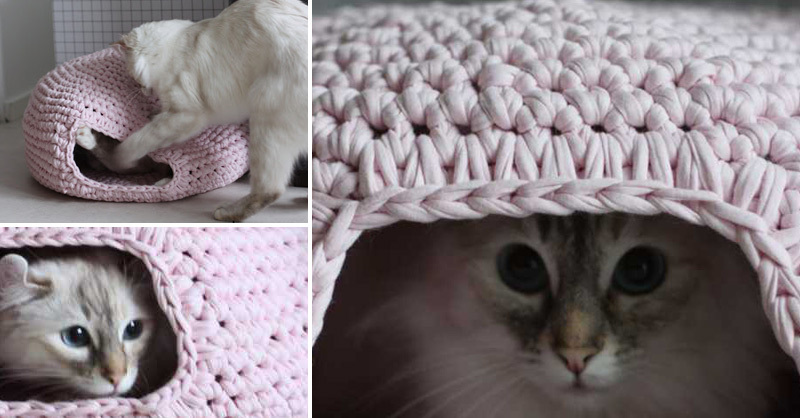 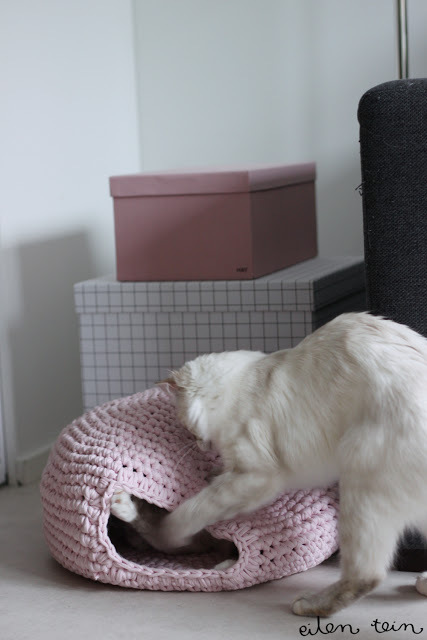 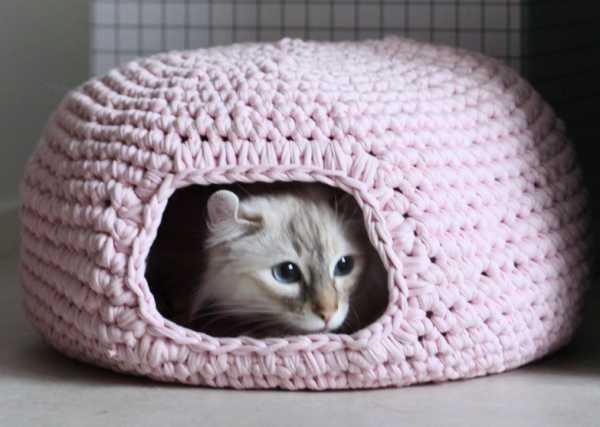 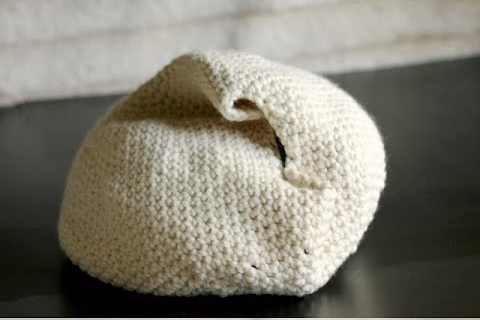 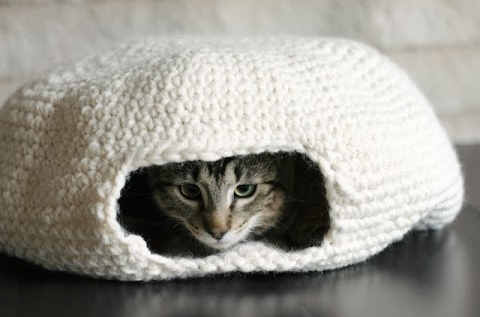 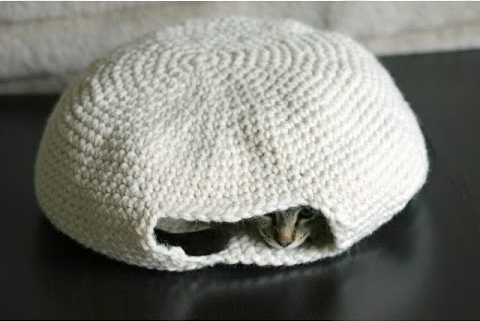 In a short time you can make a crochet bed in the perfect size, shape and feel for your cat, customized to their needs and unique personality, a comfortable bed that your cat will love.